May won’t say. Image: Stefan Rousseau/PA Wire/PA Images. All rights reserved. "This is an extraordinary response from the Home Office and points, I'm afraid, to a major cover-up. 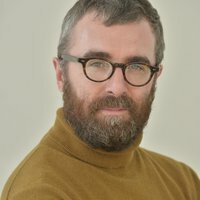 How can telling the truth about whether the Home Office blocked an investigation into Banks 'impede the future development of government policy'? It's got nothing to do with the future formulation of government policy,” Bradshaw said. 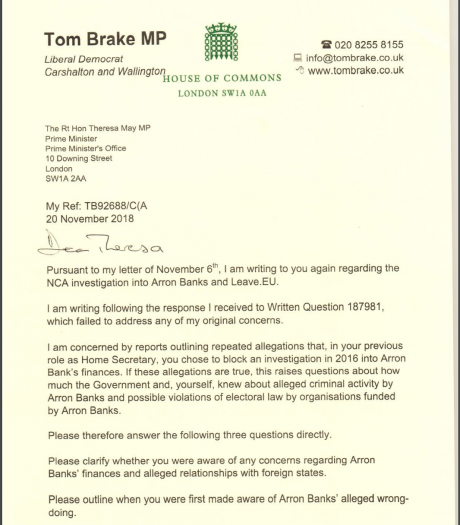 Liberal Democrat MP Tom Brake added: "It is time the government and the PM ditched the obfuscation and came clean with what the PM knew about the Banks allegations when. In September deputy Labour leader Tom Watson also asked whether May had blocked a possible investigation into Banks before the referendum. 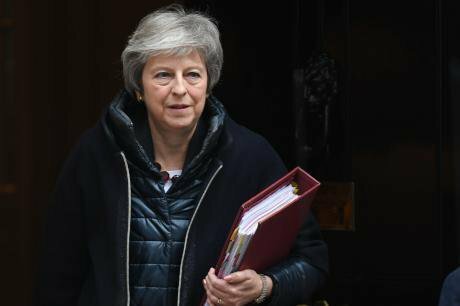 “There is a suggestion that in the run-up to the referendum the prime minister – in her capacity at the time as home secretary – declined at least one application from the security services to mount a full investigation into Mr Banks and others suspected of Russian influence. We need to know if that is true,” Watson told an event at Labour conference sponsored by The Observer. In May, Leave.EU was fined £70,000 following an investigation by the Electoral Commission into what the electoral watchdog called “serious offences”. Leave.EU CEO Liz Bilney was referred to the police, but last month openDemocracy revealed that police had yet to open the investigation due to concerns around “political sensitivities”. Earlier this month, the Information Commissioner’s Office announced that it intended to fine Leave.EU and Banks’s insurance company Eldon £135,000 for “serious breaches” of data laws around the Brexit vote.